Get to know your camera and start taking better pictures! 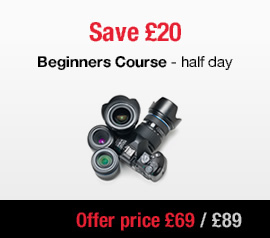 A half day photography course aimed at total beginners who own a DSLR and want to unpack some of its amazing potential. Participants will learn how to operate their cameras in manual mode, make correct exposures and understand the basics like aperture, shutter speed and ISO. 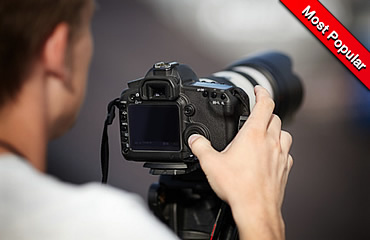 A full day intensive photography course for beginners that explains the science and art of photography from the ground up with extended hands-on activities. It will get you familiar with your digital camera in no time and allow you to start taking real control over your photography. Creative Flower Photography is a very special course for those who love fine art photography and are fascinated by the beauty of flowers. It is a rare opportunity to learn from a true master of flower photography Polina Plotnikova ARPS EFIAP. 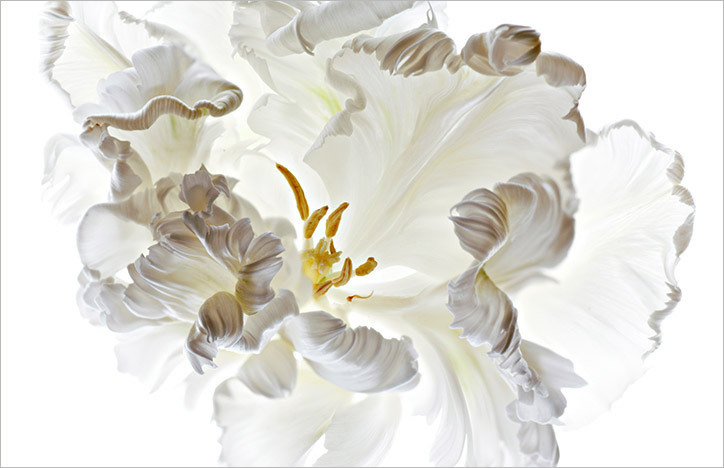 Polina has won numerous national and international awards for her photographs, and during the workshop Polina will showcase her impressive still flower portraits and share the methods she uses to obtain them. 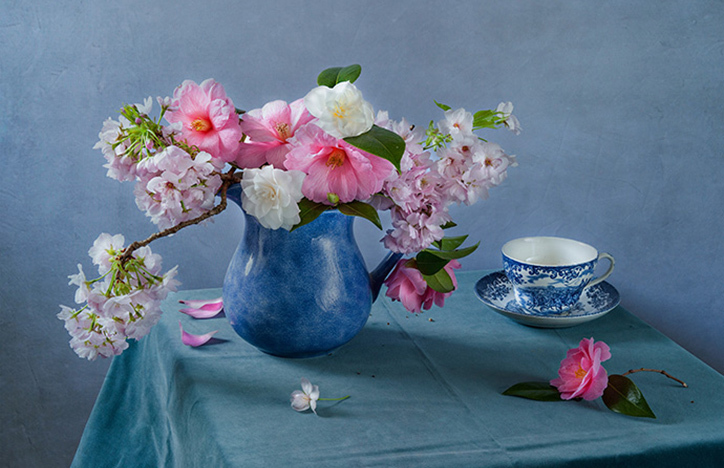 Still Life Photography is great for a perfectionist – no one fidgets or makes faces, no sudden gust of wind or some other quirk of ever-changing weather can spoil your shot. But, by the same token, you cannot count on something interesting that just happens all of a sudden – it is all up to you; the choices are infinite, and the final result is entirely in your own hands. Our Photography Course Gift Vouchers make perfect presents to celebrate a birthday, Christmas and any other special occasion! 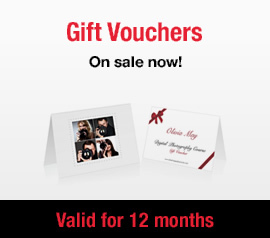 There is still time to buy Gift Vouchers and get them delivered in time for Christmas! We print and post vouchers the very same day you order! Every customer will get same day an electronic version of the voucher by email, as well as printed version sent by post. We print and post vouchers every day! All vouchers purchased on Friday 21st, Saturday 22nd, Sunday 23rd and Monday 24th December will be sent same day as electronic vouchers – these are very easy to print at home! Please note for £6.45 you can also upgrade to a Royal Mail Special Delivery with Monday 24th December delivery guaranteed. Saturday 22nd December is the last date you can use this service. Please remember to include full name of voucher recipient. If no name will be entered we will email you blank voucher and you will be able to add name yourself. 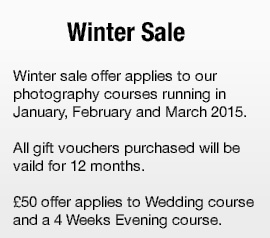 If you have any questions please email us at info@dslrphotographycourses.com or call our studio on 020 8947 8118. Qualified, passionate and with a broad range of professional experience, our team will make your learning interesting, challenging and rewarding! With classes no larger than 8 students in a fully equipped studio, we can guarantee that everyone will get a high level of attention and some personal tips. Despite highly competitive prices, all former students also benefit from 10% discount on all follow up courses, gift cards and photography vouchers. 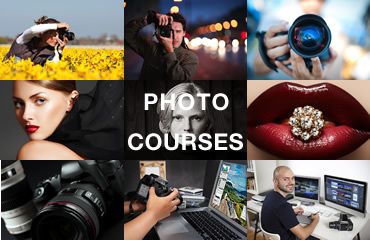 Our courses will not only explain the science and art of photography, but combine the theory with practical examples and hands-on activities. All students are provided with comprehensive course notes, personal tips, and can opt in to receive a printed and signed Certificate of Completion. No camera? No problem! 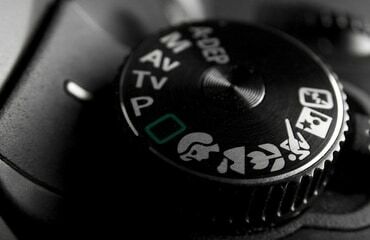 We have variety of Nikon and Canon cameras and we offer free camera hire. Try a camera free and get advice for your next purchase. After two years of playing around with my camera it was great to attend this course and finally learn the techniques I needed to get the results I wanted. Highly recommended! The beginners photography course that Jason ran was absolutely great. I learnt so much on the day! The content was really interesting and was backed up by great and fascinating practical examples. In one day Jason turned what was purely theoretical to actual. The approach, teaching style and atmosphere worked for me 100%. Excellent value for money. Thanks for a really informative and extremely helpful day. It clarified a lot of things I had read about but never understood how to make them work. The course was fun and flew past in a whizz! I really enjoyed the beginners course and learnt everything I was hoping to learn. The instructor was excellent – incredibly knowledgeable and very enthusiastic. The session was varied and well-paced, with a range of activities which were really useful. Thank you! 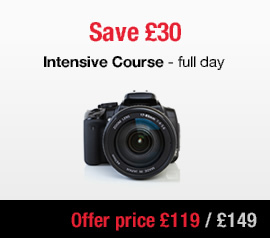 The intensive course was really good value and I would recommend it to all taking their photography beyond snapping. Even if you know the basics, you will learn so much more! The methods of teaching were excellent – delivered in an easy to understand, informal style, and with great enthusiasm. Ready to kick start your photography? Below is selection of our upcoming courses, but we have many more in coming months. View all courses.